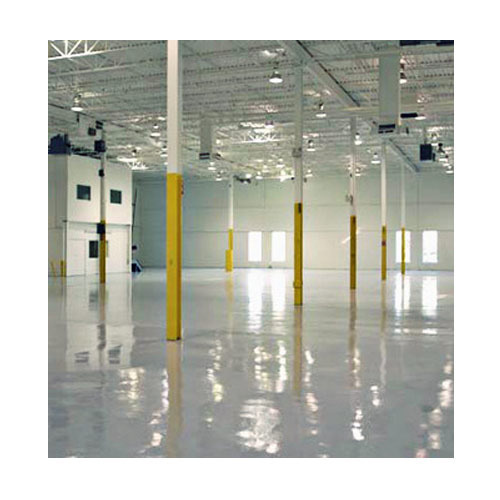 Two components, high solid, epoxy resin based universal floor primer. Features Designed as a high solid primer for concrete surface Suitable primer for the entire APCOFLOR top coat series Provides excellent adhesion between concrete surface and epoxy top coating / screeding Good penetration and sealing properties Good bonding with old and new concrete surfaces that are sound Good chemical resistance. It is suggested that the product be applied by stiff brush for better penetration. The coverage would vary significantly based on the nature of the concrete surface. On porous surface where the primer is absorbed quickly leaving dry patches, a second coat is recommended. A minimum dry film thickness of 50 microns is recommended. While application, the substrate temperature should be at least3oC above dew point but not above 50 oC.Thinner T 141 (0 – 10 % by volume) may be used depending on the site condition. All tools and equipment can be cleaned with T-141.Screed coat application must be done when the primer is tacky.